Click here to speak with a Comfort Expert Now. With over 25 years serving Southern Maryland’s, B&B Heating and Cooling Contractors, Inc. is the go-to team for comfort solutions that deliver maximum performance and value. Honesty, integrity, and outstanding customer service guide what we do and how we do it. We provide superior products, reliable support, and up-front pricing. 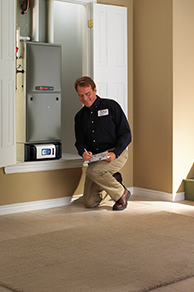 Our NATE certified technicians excel in residential and commercial installations, repair, and maintenance, offering dependable service and the finest products. Top quality equipment. Expert advice. Easy-to-talk-to people. When you need heating and cooling help that delivers lasting results, call B&B Heating and Cooling Contractors, Inc. and be sure your comfort needs will be taken cared of. 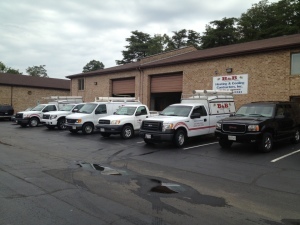 B&B Heating and Cooling Contractors, Inc. began in a garage, just a man, a van, and a vision. Today B&B Heating and Cooling Contractors, Inc. operates out of a multi-office warehouse and handles some of Southern Maryland’s largest home builders. With over 25 years and 10,000 customers, B&B Heating and Cooling Contractors, Inc. is one of Southern Maryland’s largest full service HVAC companies. Our philosophy is to provide our customers with the highest quality work possible, at a reasonable price. B&B Heating and Cooling Contractors, Inc. sells only the highest quality brands such as TRANE, HONEYWELL, APRIL AIRE, NEST and SANUVOX. These are brands we know and trust to provide our customers with the quality and reliability they expect. B&B Heating and Cooling Contractors, Inc.
HVAC Contractors in White Plains, MD: © 2017 B&B Heating and Cooling Contractors, Inc. All Rights Reserved Website Design By AdServices INC.